I was never up for daily use of mind mapping software. Still there is one program that I stick with for years – on and off, studying and missing numerous versions. PersonalBrain is window in which you can create and interlink nodes, called thoughts. It’s very very freeform. There are no rules here like in word processor so you can go all out and create structures as you see fit. That’s the point. linking outside to usual data allows creating even more complex structures while keeping them understandable (if only to you) and easy to navigate. Interface is customizable but core elements stay more or less same. I patched together really small brain to fill one screen for screenshot purposes. Clickable for large version. It’s hard to tell about value this type of software brings because everyone finds different use for it. Or none. It’s a good tool – some people carve wonders with it, some play a bit and get bored. PersonalBrain is written in Java and is cross-platform. Basic version is free and sufficient for most users but there is also whole product lineup above it. This could definitely make the tedious task of mind mapping a bit easier. I just wish there was something out there that could help with the learning bit behind all this. Thanks for the link, I will definitely give it a try. I don’t think mind mapping even has learning curve. You simply choose theme and start drawing it. Personally I like to map characters… I had once created map that accounted for eleven types of death in one thriller anime. :) Gave me quite a bit of insight on deep plot twistings… Ahem. By the way I wanted to ask – since you one of the very few people whom I know personally and who have a clue about WordPress insides and theme building… Can I hope to see bit of reviewing from you at http://www.bloggingtips.com/2008/10/01/reader-blog-critique-rarstnet/ ? I will install it and check it. It’s not really mainstream one. 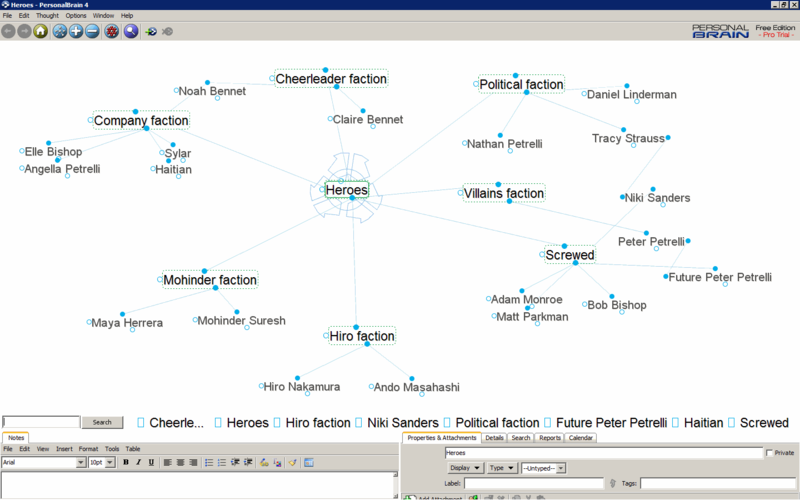 :) Mind mapping overall is hardly popular.